Winter lasts a long time in Big Sky Country. 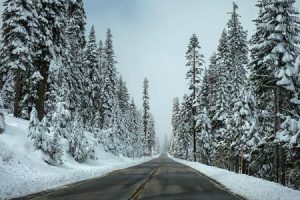 As winter sets in and the snow starts to stack up, the roads of Montana can become hazardous. If you have an unexpected emergency, you’re going to want to have a winter survival kit for your car. In SW Montana, there are huge stretches of road that travel through remote mountains where you cannot rely on cell phone service. When the temps drop and the roads get slick, accidents can happen. 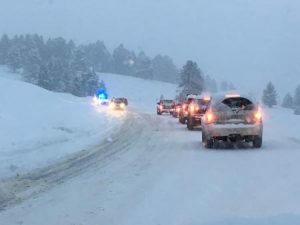 Whether you run off the road during a blizzard, break down on a snowy forest service road, run into a long term traffic jam while cruising home from Bozeman, or blow a tire in the middle of the night while driving on Highway 191 through Yellowstone National Park, you’re far from help in remote and wild country. In the event of an emergency, you could be stuck for extended periods of time in cold and wintry weather conditions. Every driver needs to be prepared for the unexpected. The best thing you can do is to make a winter survival kit for your car. A winter survival kit can help you survive in the event of an emergency. It’s one of those things that you will probably never need, but if you ever do, you’ll thank your lucky stars that you made one and left it in your vehicle during the winter season. Satellite Messaging Device - These things can save your life by allowing you to send text messages from literally anywhere on the globe. Most of these things you can pick up in Big Sky at the local Ace Hardware. Stop by and buy the things you need. Then pack it all up and leave it in the back of your truck or in your trunk. We hope you'll never need to use your winter survival kit, but if you do, you'll be glad you have it. As Benjamin Franklin once said, “By failing to prepare, you are preparing to fail.” Take the time to prepare a winter survival kit for your car so that you can survive an unexpected emergency that leaves you stranded for long periods of time. This simple kit has the potential to save your life. Invest in a trusty pair of snow tires that will help your vehicle stick to the road. Take a winter driving course. 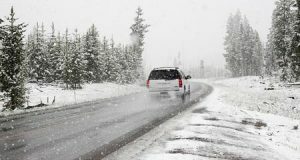 Follow these winter driving tips. Always prepare for those just-in-case moments. 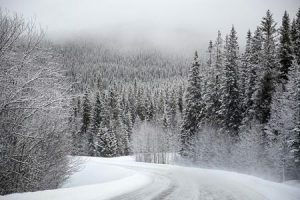 Please stay safe on the roads of Big Sky Country this winter.